Travel fresh with the portable convenience of our award-winning mineral salt deodorant stick. 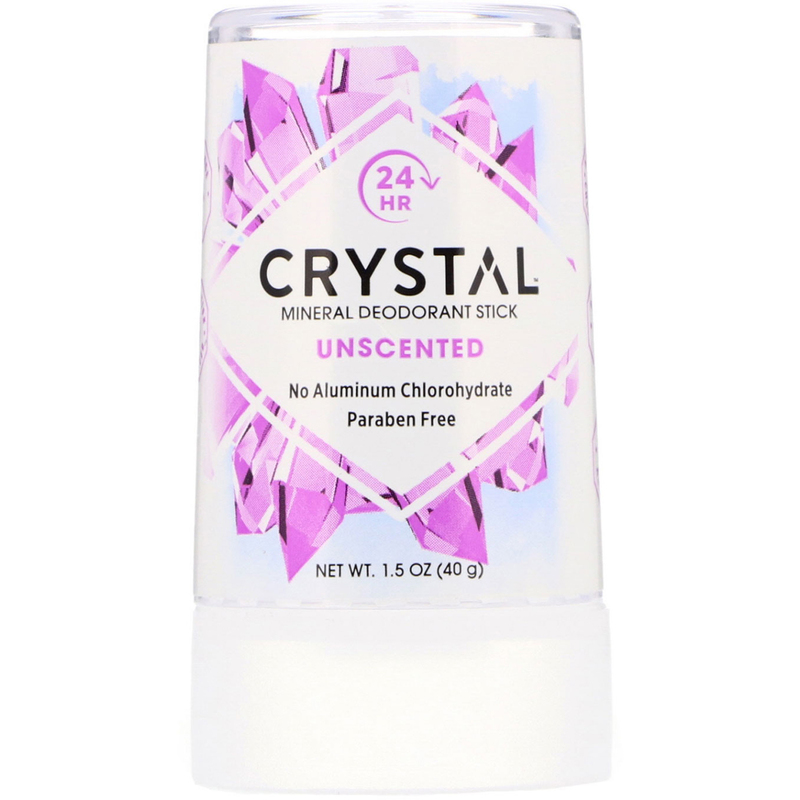 Made of mineral salts, Crystal Deodorant forms an invisible barrier against odor-causing bacteria to help stop odor at the source. This effective, odor-fighting stick is non-sticky and non-staining. Ideal for both men and women, this travel deodorant is perfect for underarms or other targeted body areas. Plus, it’s fragrance free for even the most sensitive skin - all without leaving any white marks! For every day use or on-the-go.